Please take the time to read the following information carefully. We want to make sure you are aware of the risks associated with the HEY token sale. Assisted by our legal counsel we will provide the Belgian regulator (FSMA) with a complete written and verbal overview of our project and plans, to give more context and to determine if this token sale is regulated by them. At the current time there are no further questions nor actions required. Information in this whitepaper is exclusively for general purposes and does not constitute a warranty of any sort. We may not be able to provide the products and services described in this whitepaper. Outlined expectations are purely speculative and by no means a promise of delivery. Hey is not to be considered as advisor in any legal, tax or financial matters. Any information in the white paper is given for general information purpose only, and Hey does not provide any warranty as to the accuracy and completeness of this information. This white paper shall not and cannot be considered as an invitation to enter into an investment. It does not constitute or relate in any way nor should it be considered as an offering of securities in any jurisdiction. The white paper does not include nor contain any information or indication that might be considered as a recommendation or that might be used to base any investment decision. This document does not constitute an offer or an invitation to sell shares, securities or rights belonging to Hey or any related or associated company. HEY tokens are not intended to constitute securities in any jurisdiction. HEY tokens are utility tokens only, that will allow users to access the products and services provided by the Hey extension. HEY tokens cannot have a performance or a particular value outside the Hey platform. HEY tokens shall therefore not be used or purchased for speculative or investment purposes. HEY tokens do not have the legal qualification of a security since they do not give any rights to dividends or interests. Moreover, acquiring HEY tokens shall not grant any right or influence over Hey’s organization. Hey confer no direct or indirect right to Hey’ capital or income, nor do they confer any governance right within Hey. A HEY token is not proof of ownership or a right of control. It does not grant the controlling individual any asset or share in Hey, or in the Hey network. A HEY token does not grant any right to participate in control over Hey’s management or decision-making set-up, or over the Hey network and governance to the purchasers. The business model as well as all other aspects described in this whitepaper are subject to change. The economic and regulatory landscapes concerning cryptocurrencies and blockchain-based technologies are highly unstable, and are thus themselves subject to change. Hey cannot be held responsible for any loss or damage due to such changes. HEY tokens are based on the ERC20 standard, itself based on the Ethereum protocol. Hey cannot be held responsible for any malfunction of the Ethereum network or loss in value of the Ether coin. The offering of HEY tokens on a trading platform is done in order to allow the use of the Hey platform and not for speculative purposes. The offering of HEY tokens on a trading platform is not changing the legal qualification of the token, which remains a simple means for the use of the Hey platform and is not a security. Hey shall not be responsible for any loss of HEY tokens or situations making it impossible to access HEY tokens, which may result from any actions or omissions of the user or any person undertaking to acquire HEY tokens as well as in case of the theft or loss due to cyber attack of HEY tokens. The sale of HEY tokens is final and non-refundable. Anyone purchasing HEY tokens expressly acknowledges and represents that she/he has carefully reviewed this white paper and fully understands the risks, costs and benefits associated with the purchase of such tokens. The purchaser of HEY tokens undertakes that she/he understands and has significant experience of cryptocurrencies, blockchain systems and services, and that she/he fully understands the risks associated with the crowdsale as well as the mechanism related to the use of cryptocurrencies. Acquiring HEY tokens and storing them involves various risks, in particular the risk that Hey may not be able to launch its extension and provide the products and services promised. Therefore, and prior to acquiring HEY tokens any user should carefully consider the risks, costs and benefits of acquiring HEY tokens in the context of the crowdsale and, if necessary, obtain any independent advice in this regard. Any interested person who is not in the position to accept or to understand the risks associated with the activity (incl. the risks related to the non-development of the Hey platform or any other risks as indicated in the Terms & Conditions of the crowdsale) should not acquire HEY tokens. Given the lack of crypto-token qualifications in most countries, each buyer is strongly advised to carry out a legal and tax analysis concerning the purchase and ownership of HEY tokens according to their nationality and place of residence. Hey will do its utmost to launch its operations and develop the Hey platform. Anyone undertaking to acquire HEY tokens acknowledges and understands that Hey does not provide any guarantee that it will manage to achieve it. You are aware that the Federal Act on Stock Exchanges and Securities Trading law and the Financial Market Infrastructure Act, which ensure that investors are sold investments that include all the proper disclosures and are subject to regulatory scrutiny for the investors' protection, are not applicable. Regulatory authorities are carefully scrutinizing businesses and operations associated with cryptocurrencies in the world. In that respect, regulatory measures, investigations or actions may impact Hey’ business and even limit or prevent it from developing its operations in the future. Any person undertaking to acquire HEY tokens must be aware that the Hey business model, the white paper or terms and conditions may change or need to be modified because of new regulatory and compliance requirements from any applicable laws in any jurisdictions. In such a case, purchasers and anyone undertaking to acquire HEY tokens acknowledge and understand that neither Hey nor any of its affiliates shall be held liable for any direct or indirect loss or damage caused by such changes. On concluding the ICO, these tokens will be issued by a technical process referred to as a blockchain. This is an open source IT protocol over which Hey has no rights or liability in terms of its development and operation. The token distribution mechanism will be controlled by a smart contract; this involves a computer program that can be executed on the Ethereum network or on a blockchain network that is compatible with smart contract programming language. User acknowledge and understand, therefore, that Hey (incl. its bodies and employees) assumes no liability or responsibility for any loss or damage that would result from or relate to the incapacity to use HEY tokens, except in case of intentional misconduct or gross negligence. Hey is based on the Ethereum protocol. Therefore, any malfunction, unplanned function or unexpected operation of the Ethereum protocol may cause the Hey network or Hey to malfunction or operate in a way that is not expected. Ether, the native Ethereum Protocol account unit, may itself lose value in a similar way to Hey, and also in other ways. are not purchasing HEY tokens for the purpose of speculative investment or usage. The client acknowledges and accepts that the Hey ICO operation is taking place within a Swiss legal environment that is still under development. The parties agree to seek an amicable settlement prior to bringing any legal action. Any dispute or controversy arising from or under the crowdsale shall be resolved by arbitration in accordance with the Swiss Rules of International Arbitration of the Swiss Chamber of Commerce in force on the date when the Notice of Arbitration is submitted in accordance with these Rules. The arbitration panel shall consist of one arbitrator only. The seat of the arbitration shall be Lausanne, Switzerland. The arbitral proceedings shall be conducted in English. 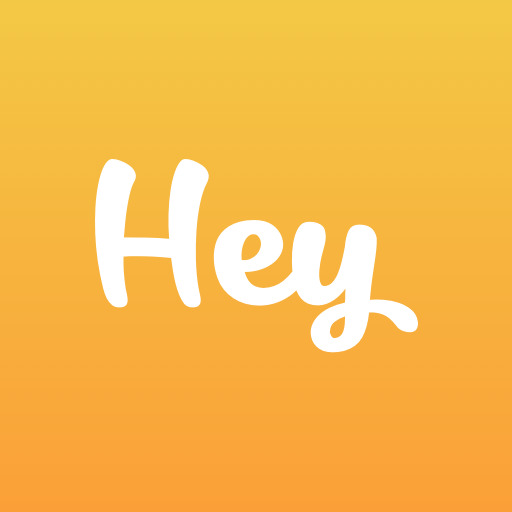 Personal information that Hey collects includes the username and email address you enter to log into Hey. We need this information to create your account and let you use Hey products and services. We may use your personal information to send you direct marketing emails. We collect information about the geographic area where you use your computer and mobile devices to help us deliver, support and improve our products and services. Hey collects and receives information from your computer or mobile device, including but not limited to the following: the activities you perform within your account, the type of hardware and software you are using (for example, your operating system, word processing or other productivity software and browser type), and information obtained from cookies. You may log into Hey with a social networking credential, such as with your Facebook account. We will ask permission to access basic information from that account, like your name and email address. You can stop sharing that information with us at any time. We automatically gather non-personally-identifiable information that indicates your association with one of our business partners. We use this information to provide anonymized aggregate reports and to determine the amount of revenue share payments to make to our partners. Some third-party applications and services that work with our products may ask for permission to access your content or other information about your account. Those applications will provide you with notice and request your consent in order to obtain such access or information. Please consider your selection of such applications and services, and your permissions, carefully.